Updated master list with 2nd Printings of 4001 AD War Mother #1, X-O 48, X-O 49. Updated master list w/ the news of Faith and Gen Zero reprints. was hunting this thread down. Just saw a tweet from Jody Houser stating that Faith #2 was getting a second printing. This is good news, and while Gen 0 and Faith aren't everyone's cup of tea, overall, it is showing growth, which we all want. Thank you, sir! Updated the list. Doesn't that make Faith #1-5 all in at least their second printing? That's pretty darn solid! Does anyone know where i can buy XO 48 & 49 second prints? I cant find them online. According to comiclist.com they haven't been released yet. Updated master list with harbinger Renegade #1 2nd printing. Updated master list with the Savage #1 2nd printing. List has been updated. Thanks for the catch! Savage #1 from Valiant is getting a third print, out on January 11th. Valiant's weekly email announced a second printing of Britannia #4 on 1/25. 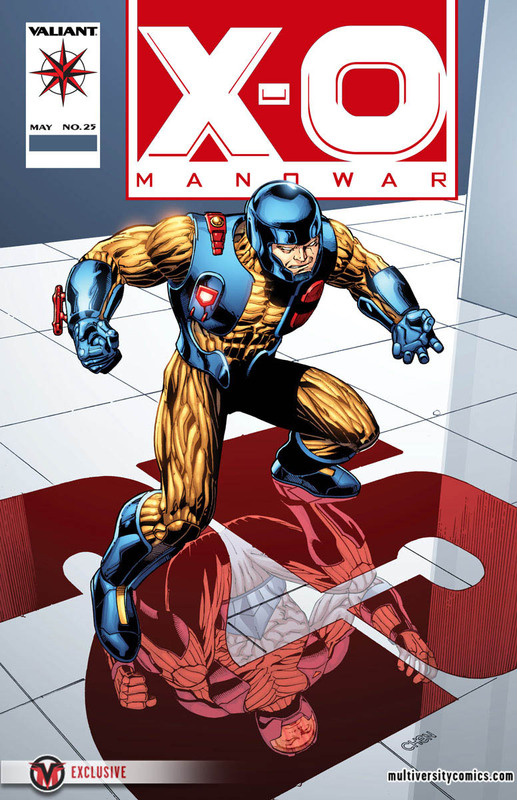 Bleeding Cool ran the news about a 2nd print of X-O #1 on April 26. News today that Bloodshot Reborn #0 will get a 2nd print in May. Master list has been updated. Updated with Secret Weapons #1 and Rapture #1 second printings.